All of our adoptable dogs and cats are waiting for their forever home. We would love to find out who is right for you. Check out the pets we have available for adoption below. 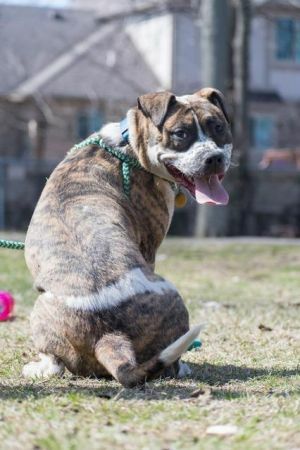 Hello, my name is Bindi, and I am the Queen Bee here at the shelter. I prefer to be the only pet in the household, and would do best with older children. I like to be catered to, and I live for attention. I love to play, and my previous owner says I'm not picky. Please no toys that are small enough for me to swallow, when I get bored I try to eat them. I am up to date on my vaccines, spayed, and micro-chipped. Come meet me today at The Humane Society of Macomb.Thank you for showing an interest in our pets. We can never guarantee the breeds of the animals. We do not DNA test. Please feel free to call us with any questions. Maui needs an experienced and understanding adopter who will continue to train and socialize him. This boy is still a goofy puppy and is very active. Maui is incredibly smart and already has quite a few tricks up his sleeve! Training is required for Maui. If you are interested in adopting, training will be available to you through our shelter. 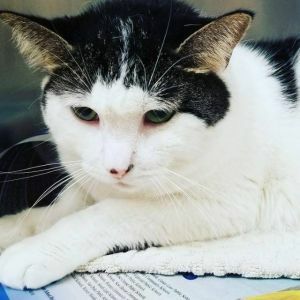 Maui needs to be the only pet in the home, and cannot go home with children. A fenced in yard is preferred, always supervise outside. Maui can be insecure at times but we are working on building his confidence.Thank you for showing an interest in our pets. We can never guarantee the breeds of the animals. We do not DNA test. Please feel free to call us with any questions. Hi, I'm Bane! I am told I am the BEST boy! I walk really well on leash and love everyone. My favorite thing to do is cuddle on your lap! I've lived in a home with cats and I am okay with some dogs. I already know a lot of things but would still love for my family to take me to class. Meet me and you will fall in love!Thank you for showing an interest in our pets. We can never guarantee the breeds of the animals. We do not DNA test. Please feel free to call us with any questions. Thank you for showing an interest in our pets. We can never guarantee the breeds of the animals. We do not DNA test. Please feel free to call us with any questions. Hello my name is Ginger, I'm an independent kitty looking for her furever family! I am independent so I love to explore. I am very sweet, just not fond of other animals, I want my new family all to myself. I like to be brushed, and sometimes I like to play, but I would rather find a nice place to nap in the sun. 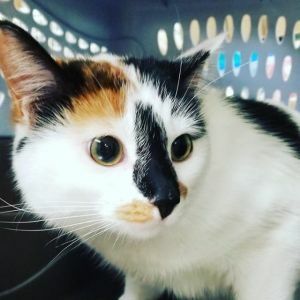 I am vaccinated, spayed, and micro-chipped! Please come meet me today.Thank you for showing an interest in our pets. We can never guarantee the breeds of the animals. We do not DNA test. Please feel free to call us with any questions. Hi, I'm Glinda! I'm a young girl that was saved from a bad situation. Because of this, I haven't learned much yet. The trainers here say I'm SUPER smart and catch on quickly. They even have free obedience classes that you can bring me to. I love to play with other dogs, but I do like to keep toys to myself. I probably wouldn't do well with cats because I think I am supposed to play and wrestle with them. I am outgoing and like just about everyone, but because I am not used to having nice things and like to keep them to myself, I would probably be best with older kids. I am so much fun and love being the life of the party. I am the perfect combination of playful and cuddly. I have been going on sleepovers with a staff member and she said I do really well with house training! I still need to learn what I'm allowed to play with, but I'm getting the hang of it pretty quickly. I LOVE napping on the couch and get belly rubs. Glinda requires a 24-hour hold. This gives you time to puppy proof your home and to consider whether or not you have the time and commitment to train and socialize a puppy.Thank you for showing an interest in our pets. We can never guarantee the breeds of the animals. We do not DNA test. Please feel free to call us with any questions. Brodie is a secret agent with a top tier sniffer. He needs an active family who can keep up with his high energy, no couch potatoes! When he's not on a mission he loves playing ball. 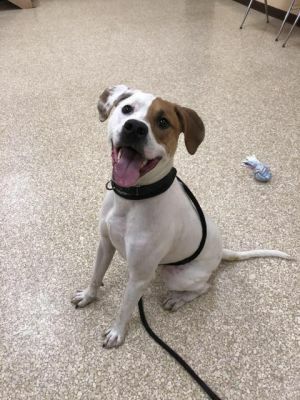 While Brodie is a well-mannered gentleman, he is still only a year old and requires basic obedience classes. Brodie has previously done well with children and other dogs, and could be a great new addition to your family!Thank you for showing an interest in our pets. We can never guarantee the breeds of the animals. We do not DNA test. Please feel free to call us with any questions. Hello, my name is Jonah. Because of my fangs, the staff here call me their "sweet little vampire." I would do best in a quiet home, as I do not like dogs or cats. Kids are okay, just please respect my personal space. I am a very sweet boy, it just takes me a little bit to warm up. I am up to date on my vaccines, neutered, and micro-chipped.Thank you for showing an interest in our pets. We can never guarantee the breeds of the animals. We do not DNA test. Please feel free to call us with any questions. Hey! I'm Scout. I had a bit of a rough past, but I'm not letting that determine my future. I am a bit shy, so my adopter will have to go slow while meeting me. I need a lot of socialization with dogs and new people. Because of my shyness, I cannot go home with kids under 8, and I will likely need to be supervised when outside. The trainers here say that I am so smart and have TONS of potential, I just need an adopter who will be patient and go at my own pace. Ask to meet me please! I really want to show you how smart I am!! !Thank you for showing an interest in our pets. We can never guarantee the breeds of the animals. We do not DNA test. Please feel free to call us with any questions. Hello my name is Stella! 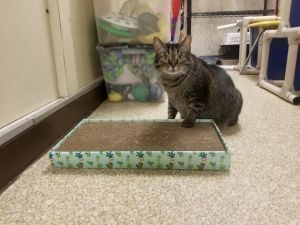 I am a shy girl here at the Humane Society of Macomb in search for my new family! I have a shy personality, but I enjoy belly rubs, brushes, and being scratched behind the ears. I would do fine with other animals and children in the home, but I might be pretty shy at first, a new home is a big change. My shots are all up to date, I'm spayed, and micro-chipped, so you don't have to worry about that! 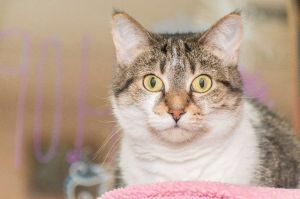 I really want a place to call my home, so please come and visit me today.Thank you for showing an interest in our pets. We can never guarantee the breeds of the animals. We do not DNA test. Please feel free to call us with any questions. Hello there, my name is Mr. Nux and I have quite the story to tell you. I came into the Humane Society of Macomb in a live trap, that's right, a live trap! The new sounds and smells were so overwhelming and scary, I had no idea what was going on. Luckily my shelter mom has spent days upon days with me, teaching me how to love again. I went from tough street warrior to a purr machine in just a couple of weeks. 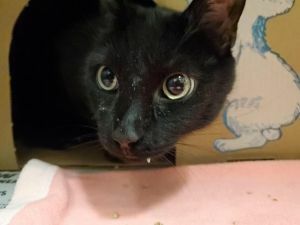 I am still pretty shy and would be best in a home without any other animals or small children, and require slow introductions. 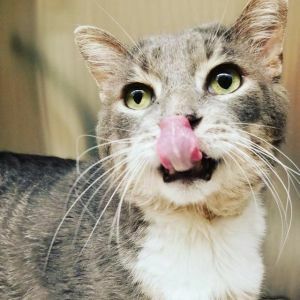 I am also FIV positive, but it hasn't slowed me down at all! I really want a nice place to retire and bask by a windowsill, and tons of snacks is a must. I am up to date on my vaccines, neutered, and micro-chipped, so you don't have to worry about that! Come meet me today.Thank you for showing an interest in our pets. We can never guarantee the breeds of the animals. We do not DNA test. Please feel free to call us with any questions. 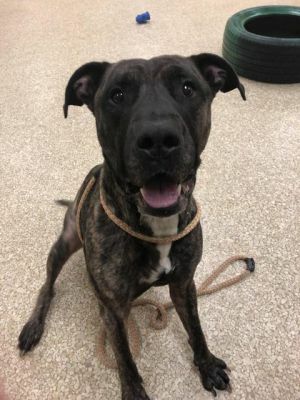 Hello my name is Jax, and I'm a young guy here at the shelter looking for my new home! I am FIV+, but that hasn't stopped me in the slightest. I like to lay around and bask in the sun, and take long naps on a cat tree. I am up to date on my vaccine, neutered, and micro-chipped, so I'm ready to go home. Come and meet me today at The Humane Society of Macomb.Thank you for showing an interest in our pets. We can never guarantee the breeds of the animals. We do not DNA test. Please feel free to call us with any questions. Darla is the biggest ham you've ever seen. This girl has a big booming voice but she is catching on quickly to our quiet exercises! She has a detective nose so she needs a home with fenced in yard and outside supervision. 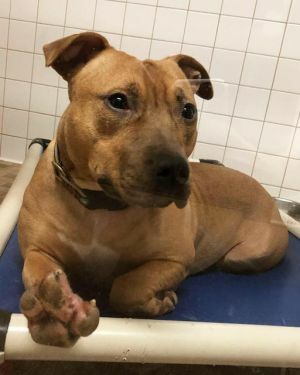 Darla needs a home with a family who will keep her physically and mentally active, and be patient and understanding about her breed characteristics. Darla will need to be the only dog but doesn't seem to mind cats (has lived with them in a previous home). Come and meet our darling Darla TODAY!Thank you for showing an interest in our pets. We can never guarantee the breeds of the animals. We do not DNA test. Please feel free to call us with any questions. 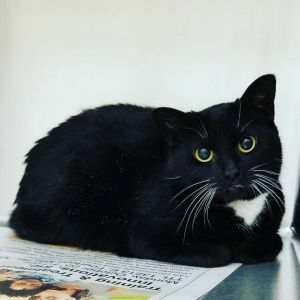 Hi my name is Theo and I'm a 3 year old tuxedo cat that needs a loving home! I can be a little bit shy at first, but with time I will open up. I was in a home with cats before this, so I would be fine having other feline siblings. I also get along with children as well. I am up to date on my vaccines, neutered, and micro-chipped. Come see me at the Humane Society of Macomb today.Thank you for showing an interest in our pets. We can never guarantee the breeds of the animals. We do not DNA test. Please feel free to call us with any questions. How's it going? 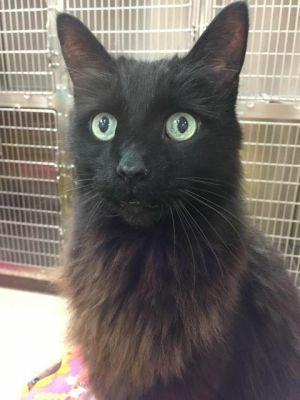 They call me Lucky, because a nice lady found me as a stray and brought me into the shelter, so I could be adopted into a loving family - how lucky is that ?! I'd be a great fit into almost any home, and who could pass up this lucky charm? Call and ask about me today!Thank you for showing an interest in our pets. We can never guarantee the breeds of the animals. We do not DNA test. Please feel free to call us with any questions. My name is Valentina and it's so nice to meet you ! I'm a shy girl so slow introductions are best..I'm very nice once I get to know you though. 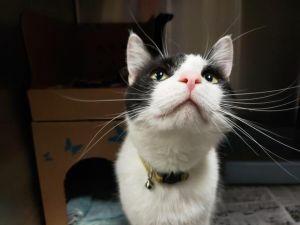 I'm looking for a patient human to open their heart and home to me and who will let me explore my new surroundings on my own time. 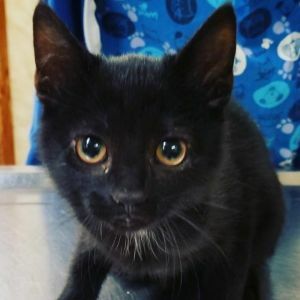 I'd rather not go home with other animals or young kids because I can be so timid sometimes, but in a calm home, I do love to snuggle !Thank you for showing an interest in our pets. We can never guarantee the breeds of the animals. We do not DNA test. Please feel free to call us with any questions. Meet Diego, the heartthrob! 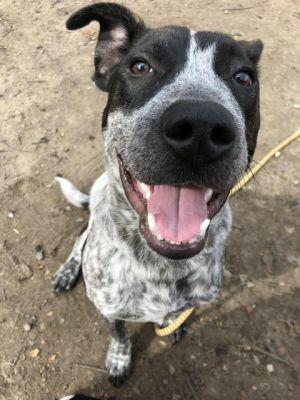 Diego requires an adopter with a lot of patience and understanding who will commit to training and socializing him to ensure he reaches his full potential! 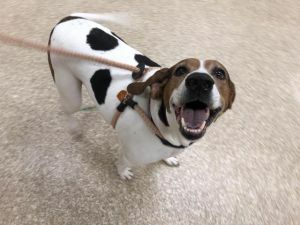 Diego is incredibly smart and catches on quickly, so he will need someone who will help him channel his boundless energy by exercising him physically and mentally. Diego may be too wild for young children, however we can always do a meet and greet to see how he interacts with them. 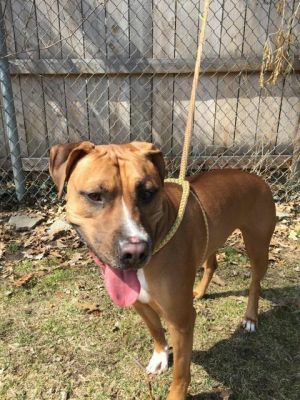 Diego would love a fenced in yard to run and play in, and requires outside supervision. 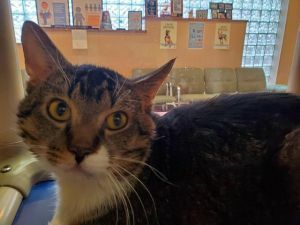 Cats are still a mystery to Diego, so he would need further evaluation before going to a home with any. Diego requires a 24-hour puppy hold. This gives you time to puppy proof your home and to consider whether or not you have the time and commitment to train and socialize a puppy. Ask our adoption assistants about free basic obedience classes offered through the shelter to adopters. We can help teach you how to teach him to be the best boy he can be!Thank you for showing an interest in our pets. We can never guarantee the breeds of the animals. We do not DNA test. Please feel free to call us with any questions. Hello everyone, I'm Hope. I'm a shy gal looking for a patient family to come scoop me up. I'm learning to come out of my shell and can't wait for my new owners to help me be brave! I'm a very friendly, independent kitty who LOVES getting pets! I like to wait for you to come to me, but I just can't get enough of your attention. It may take me a while to open up in my new home, so I'll need an understanding family who will be patient with me as I adjust to my surroundings. If you're looking for a sweet, cuddly girl to bring home to your family, come meet me today!Thank you for showing an interest in our pets. We can never guarantee the breeds of the animals. We do not DNA test. Please feel free to call us with any questions.